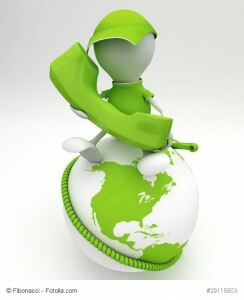 One of the most complimentary offerings to managed services is VOIP. By offering monthly phone services to companies you can increase the income from your clients, sometimes by up to double what a standard managed services contract provides. Also by controlling the phones, you increase your company’s stickiness and make it very hard for clients to move to another provider. 3NG offers the backbone which you connect to with equipment they have built special for their offering. You set the price on minutes. You can offer a flat rate or you offer a per minute charge. 3NG trains you in how to build a VoIP program, offers you marketing and sales collateral, and shows you the best practices. Then you rake in roughly 50-65% margins on the earnings from the program. You own the customer. This is not an affiliate program. Interested? We were! Join us on April 8th at 1pm ET where we will take a closer look into what 3NG is offering and how it works. You are personally invited. On the call we will be opening a pilot program for this new VOIP program. Five companies who are ready to get started with VoIP right away will get a chance to waive the startup fee (a $500 value) and get right into the meat of the program in exchange for sharing their experience with us. If you are curious about this offering or would like to join the pilot program then please register for the webinar. We’ll be sending more information to webinar registrants about how to register for the pilot program.